Kathleen has more than 25 years of experience working in design agencies, as well as being an in-house designer. She is well versed in print design, web design/development, video and motion graphics and utilizes these skills to create award-winning materials for our clients. Her varied skill set allows her to deliver solutions—from brainstorming and sketching to prototyping and programming. The result is a fully developed, wide-scale interactive project. She is also our go-to designer for retouching. She works for clients, such as Avantor, BD, BlackRock and Ortho Clinical Diagnostics. Prior to working at Davis & Company, Kathleen worked at an agency in Hoboken as a senior designer/art director, where she was responsible for hand coding multiple sites from scratch. 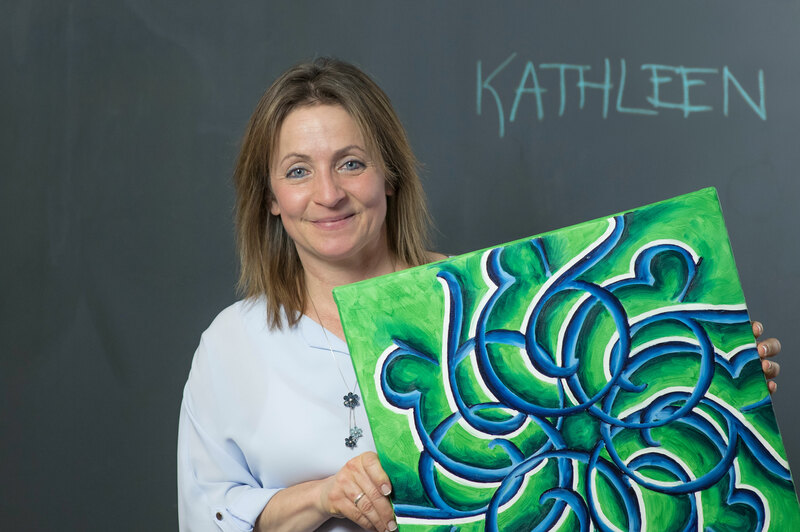 Kathleen holds a Bachelor of Fine Arts degree in graphic design from Rochester Institute of Technology. I developed three videos detailing different channels our customers could utilize in their communication efforts in Adobe After Effects. It is most memorable for me because I’m always looking to enhance my skill set. I’ve never been the type of designer that wants to design something and hand off development to someone else. Yes, sometimes that has to happen but when at all possible I want to take the designer through the development process as well. This project, because there were three videos that were built consecutively, allowed me to do that in the most beneficial way. My inspiration often comes from immersing myself in art—whether it be a form of fine art, or design. Seeing others creativity inspires me to do more, to be better and to go further. Instagram. Animals make me smile. I always have music on when I work, and when necessary, I often need reference material to make sure my sketches can be interpreted! My dog, music and nature.